Long range wireless communication is getting more and more attention. Today, I would like to share with you my experience with a LoRa module — SX1278 and also the drive for this device. Some time ago I have written SPL vs HAL: which one should you use where I have focused on differences between two main frameworks for STM32 — Standard Peripheral Library (SPL) and Hardware Abstraction Layer commonly known as HAL. Since the recent post only focuses on those two sets of libraries I have decided to write some examples which can tip the scale. What is more, at the end of previous article I have asked an important question for a developer — does the STM is going to introduce us to a brand new library. Answer to this and other questions are further in this post. Recently, I have come to a conclusion that it would be good to print the state of my quadrocopter on a display. The question was what kind of display should I use. 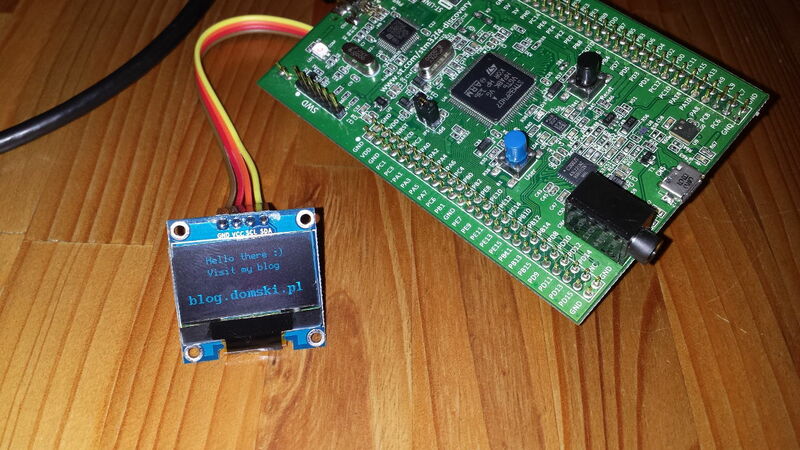 I decided to give a try to a small 0.96″ OLED display with I2C interface. It is based on SSD1603 driver. You can see this display on the image above. However, there was an issue regarding the screen controller. But it was soon solved. I have come across the U8glib which is a graphic library, quite popular among Arduino users. 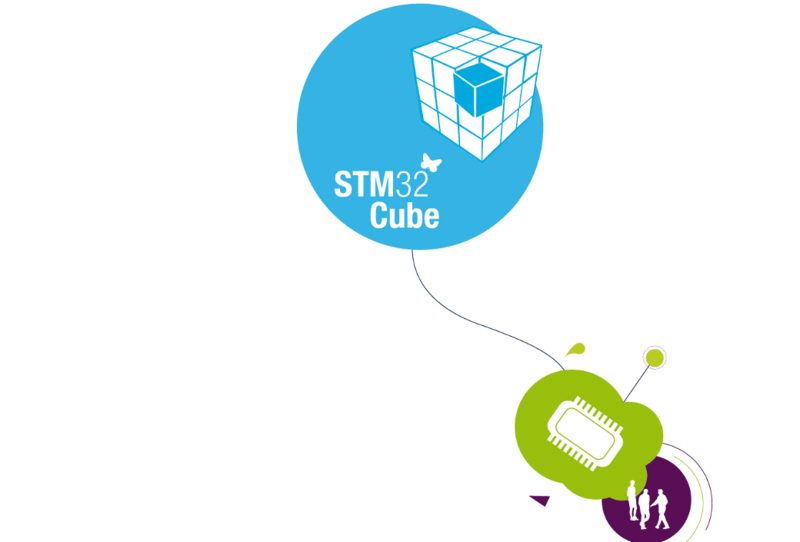 As soon as I started to read about the library I realized that it does not support STM32, not mentioning the HAL library. There is an unending dispute about which library should you use when writing an application for STM32 microcontroller. Actually, there are at least three choices which you should consider. 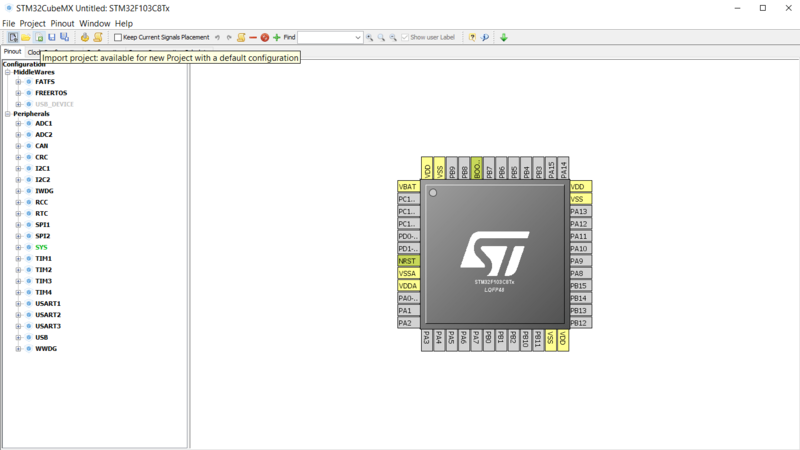 In this post I will highlight the advantages and disadvantages of each approach which can be considered when writing software for ST microcontrollers.